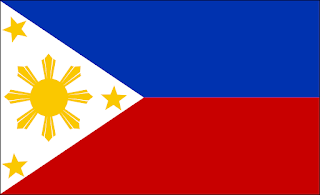 In the Philippines there has been an important legislative change concerning the maintenance of trademark rights. The change involves a new Declaration of Actual Use (“DAU”), as established by the Intellectual Property Office of the Philippines (IPO) in Circular No. 17-010 (2017 Trademark Regulation), in effect since 1 August 2017. It would seem that this change derives from the need to adapt Philippine trademark legislation in line with the provisions of the Madrid Protocol, although there may also be other reasons such as a desire to restrict exclusive rights from being obtained in defensive marks or perhaps even to introduce a new official fee. However, our task here is not to analyse the reasons for the changes but to explain them as simply as possible. Circular No. 17-010 establishes an additional DAU to those already required under the existing legislation, which must be filed within one year from the date of renewal of the mark. The requirement to submit the DAU affects Philippine national marks, international marks designating the Philippines and subsequent designations of the Philippines for international marks. If a mark has been protected through the international registration system, while the term is also one year, it is calculated from the date of renewal of the international mark. Circular No. 17-010 is certainly complex, as it appears to indicate that the requirement to submit the new DAU will be applied with retroactive effect to marks that have been renewed since 1 January 2017, and at the same time it appears to state that this requirement must be met for all marks within one year from its renewal date. In practice, for each trademark that is to be kept in force in the Philippines, a DAU will have to be submitted within the established term of one year from the renewal date and that same formality will have to be carried out again at each 10-year cycle during the lifetime of the registration. In the more immediate term, those owners of trademarks which were due for renewal from 1 January 2017 will have to satisfy the requirement of submitting the DAU before the end of the one year term from the date on which the registration was set to expire. Those owners that have renewed their marks in the course of 2017 and wish to keep them in force, will have to keep in mind that they must comply with this requirement within the time limit. This retroactive effect will not really exist in relation to international marks because the Philippines acceded to the Madrid Protocol on 25 July 2012. Therefore, the first international marks designating the Philippines will not be due for renewal until 2022. In this regard, Article 14.5 of the Madrid Protocol establishes that with respect to international registrations made under the Protocol prior to the accession thereto of the State in question, subsequent designations of protection in that State are not possible, and therefore there would not be any subsequent designations of trademarks in the Philippines that would be affected retroactively by this new requirement. In the case of international marks, it is a change to bear in mind in the longer term.